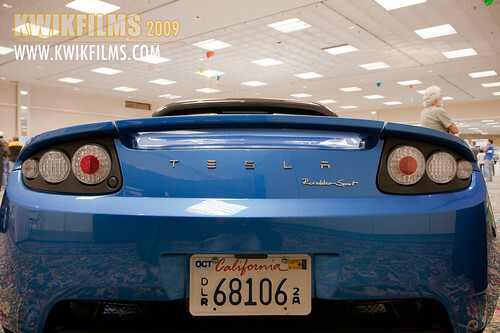 On November 21, KWIKFILMS checked out the San Diego Alternative Fuels Education Day at the Town & Country Convention Center in Fashion Valley. 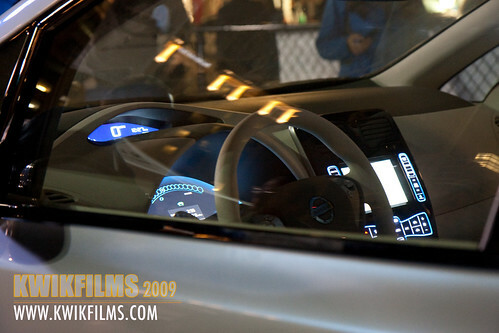 The Nissan Leaf, Chevy Volt, Tesla Roadster, and many other alternative fuel vehicles were on display. 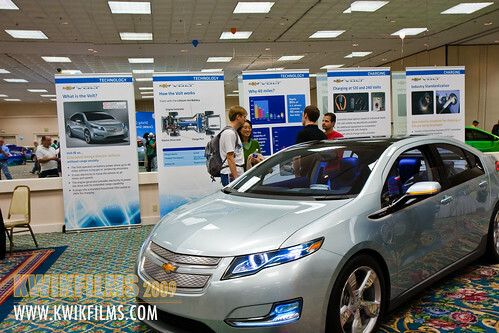 This free event marks the first time that all mass-market electric vehicles will be displayed together in one place Although these vehicles are not as KWIK as the vehicles we cover, its good to see what the future has in store. 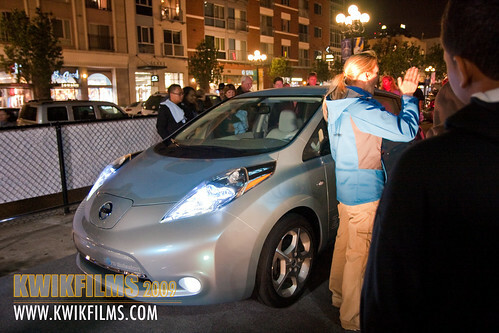 According to Joel Pointon, Clean Transportation Manger at SDG&E, "San Diego is getting the largest vehicle electric charging infrastructure deployment project in the United States next year, with the first units coming in June and July," "SDG&E began working with Nissan two years ago and secured our region the inside track for early rollout, which includes a $100 million dollar investment from the Department of Energy plus another $8 million from the California Energy Commission." 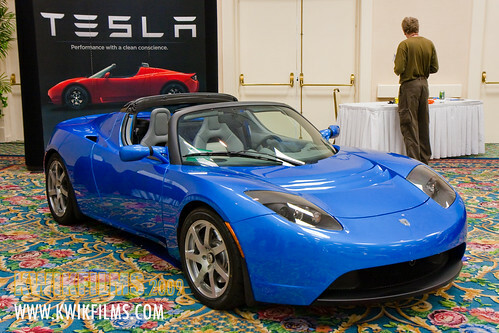 The electric car is back! 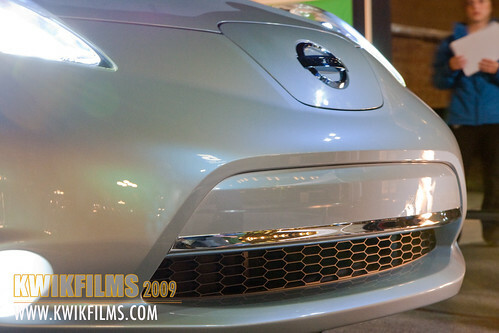 Nissan is readying their new "All Electric" vehicle set to be released early next year. 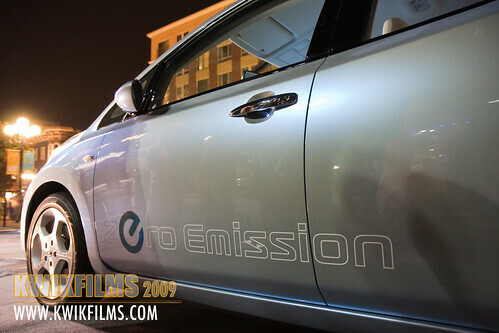 KWIKFILMS had the opportunity to attend the Nissan LEAF Zero Emissions Tour. 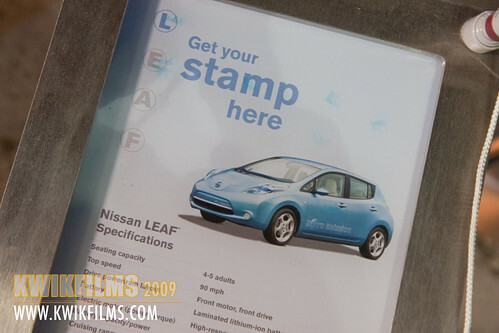 On a full charge, the Nissan Leaf can travel 100 miles. 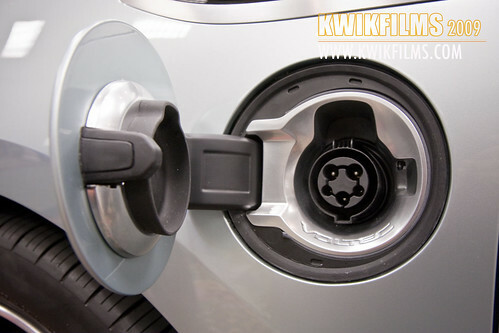 Charging stations will be readily available around San Diego. 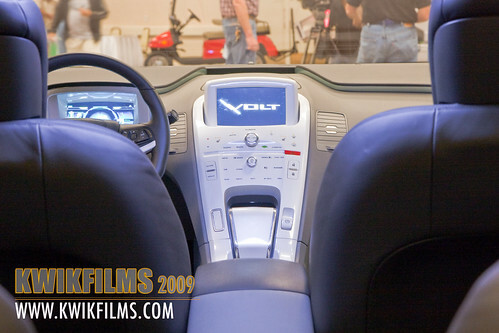 The styling of this vehicle is quite remarkable. 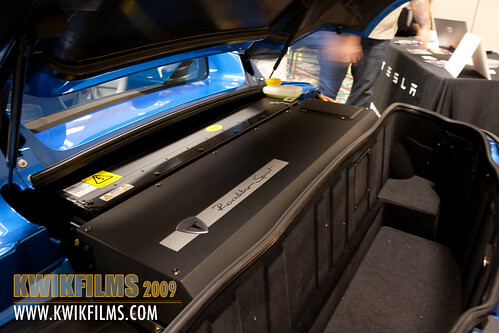 The bottom of the vehicle is completely flat which assists with the aerodynamics of the vehicle. 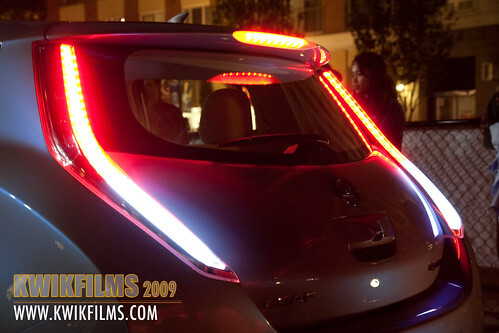 The rear spoiler has a small solar panel that powers some accessories when parked. 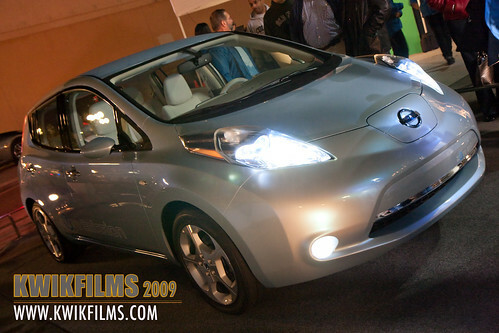 Look for the Nissan Leaf to be priced around 25k - 30k. Here are few photos taken at the event. 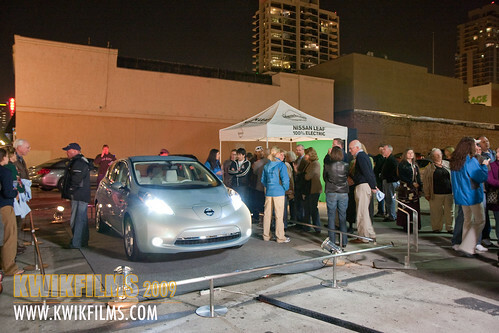 More photos of the Nissan Leaf can be found here.